Just with a simple toss YoYo self-rolling fitness and yoga mat will be ready for your workout. Like the idea? Let’s keep checking. The YoYo Mat is a convenient, self-rolling yoga mat that measures 24 inches wide by 72 inches long and weighs 2.75 lbs. 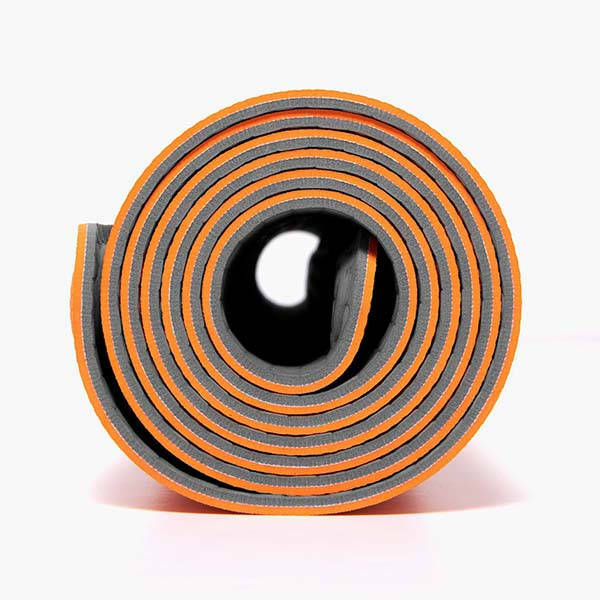 As shown in the images, the mat delivers an orange-and-gray color scheme to match with your passion for exercise. Meanwhile, the mat is made using eco-alternative material that’s non-toxic, recyclable, PVC-free, chloride-free, and latex-free. Using a unique self-rolling design, you can quickly unroll the yoga mat with a single toss, and it can stay flat on the ground with no curling edges so you will never worry about it getting in the way of your workout. Furthermore, the 5mm thick dual-layered design allows for comfort and support, while the textured anti-slip surface enhances your grip even when the mat is wet. When not in use, the yoga mat can be rolled up on its own with a simple click, and it keeps neatly rolled with no need for any strap. In addition, its closed cell construction seals the mat from moisture, bacteria and odor. The YoYo fitness and yoga mat is priced at $79 USD. If you’re interested, jump to Fancy (blue version) for its more details.